India Yamaha Motor (IYM) Pvt. 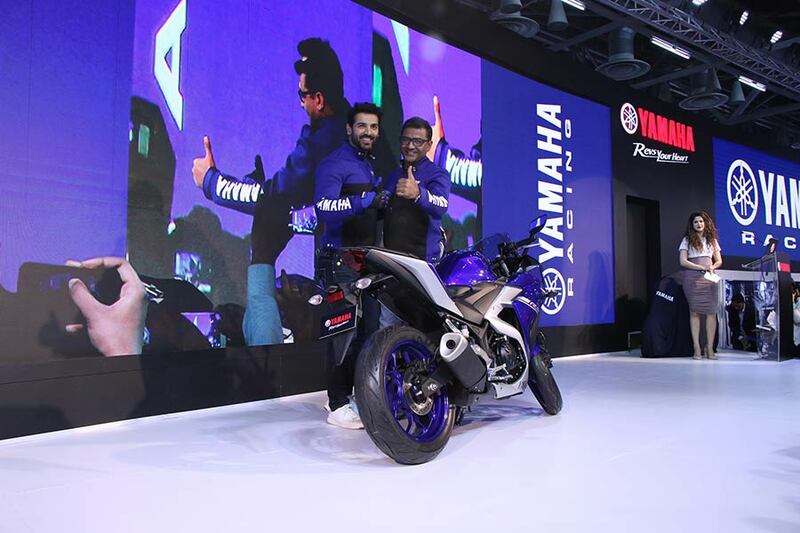 Ltd. today introduced the popular sports model, YZF-R3 at the Auto Expo 2018 in the presence of Bollywood star and Yamaha’s brand ambassador John Abraham. The new YZF-R3 is enabled with dual channel Anti-lock Braking System (ABS) technology and high grip Metzeler radial tyres. The motorcycle will be priced at Rs. 3,48,000 (ex-showroom Delhi) and will be available at select authorized Yamaha dealerships. The dual channel Anti-lock Braking System (ABS) technology will further ensure reliable braking on slippery roads by automatically adjusting the brake fluid pressure. The new YZF-R3 will also come with additional new features, including the premium Metzeler radial tyres for high-safety performance and enhanced grip. The model will be available in two colour variants – Racing Blue and Magma Black. The winner of industry’s most prestigious “Indian Motorcycle of the Year (IMOTY)” awards in 2016, YZF-R3 will retain all of its original features of a twin cylinder model along with a dual channel Anti-Lock Braking System (ABS). The 321 cc motorcycle is equipped with liquid-cooled, 4-stroke, in-line 2-cylinder, fuel-injected engine for smooth power delivery and driving pleasure. YZF-R3 is known for a solid combination of class-leading power and a lightweight body that achieves high levels of riding performance and styling. It is also a classic example of power-packed engine on a powerful frame delivering fantastic nimbleness that allows an easy and comfortable ride across all terrains. The success and popularity gained by the YZF-R3 in India is a major achievement by the company. The development team has put all of their engineering skills and passion into developing this new model with dual channel ABS in order to provide improved riding experience and more excitement to the customers. The new version of YZF-R3 carries the testimony of Yamaha’s commitment to its customers. The award winning, twin cylinder motorcycle is now available with the dual channel ABS technology and Metzeler radial tyres that disburse extraordinary grip and high performance. 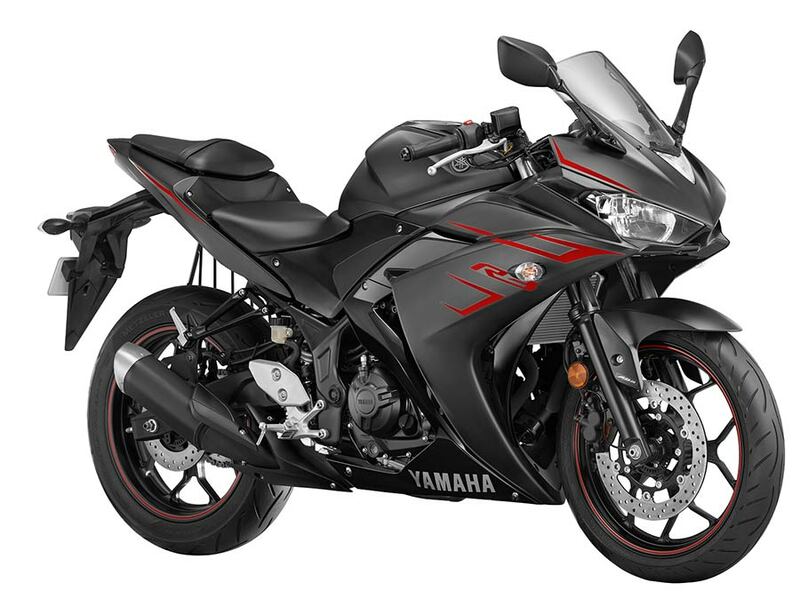 Known for its riding controls and nimbleness, Yamaha is confident that the new YZF-R3 will earnestly appeal the biking enthusiasts and will continue to be the preferred choice for the customers. It has been an exciting journey for Yamaha till now as the company has always surprised its consumers with innovative and stylish products year after year. With the launch of the new YZF-R3, it is certain that the riders will experience an improved art of technology.